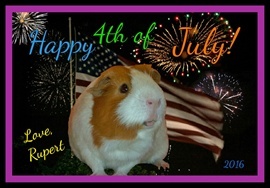 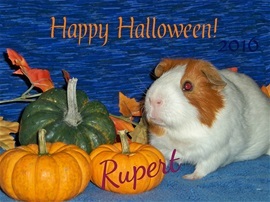 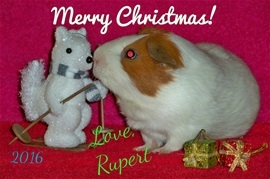 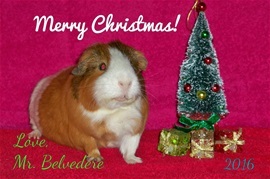 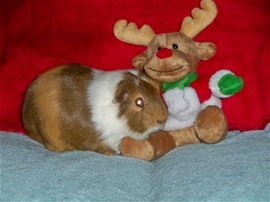 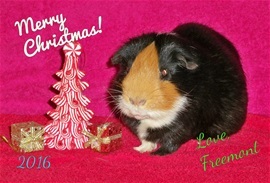 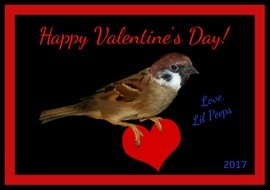 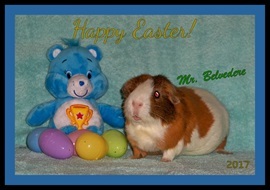 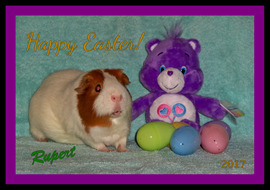 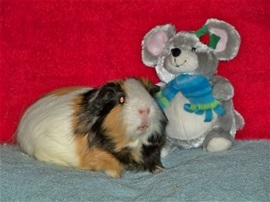 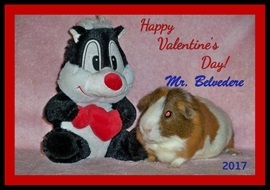 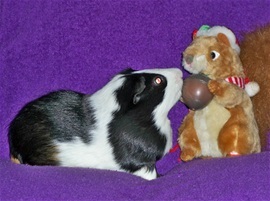 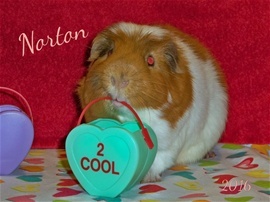 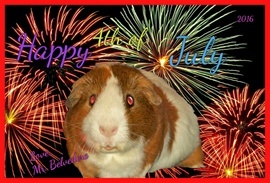 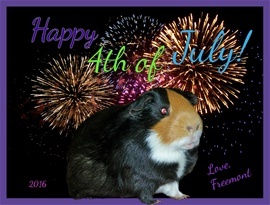 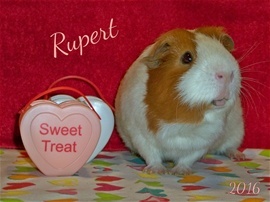 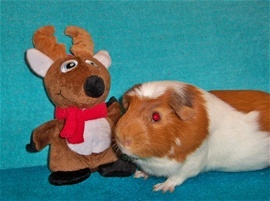 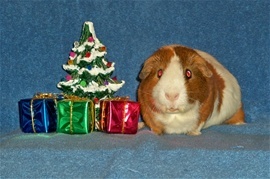 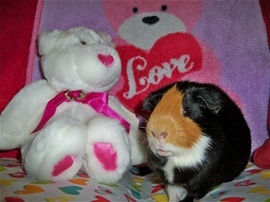 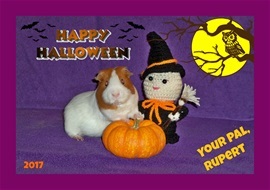 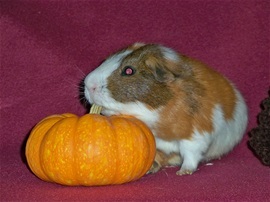 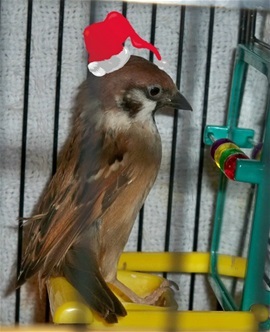 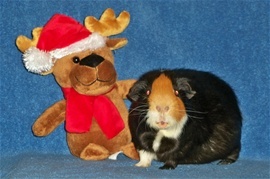 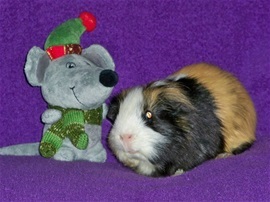 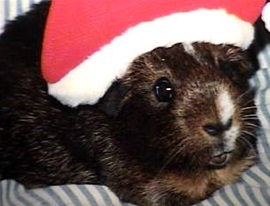 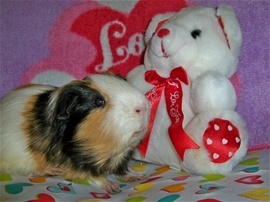 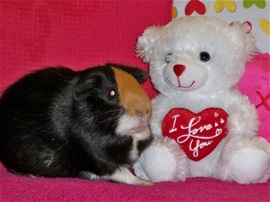 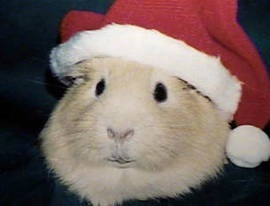 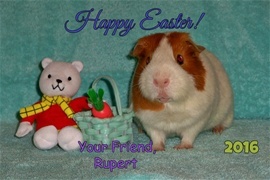 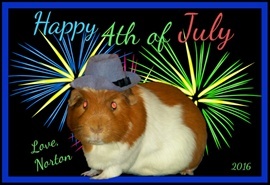 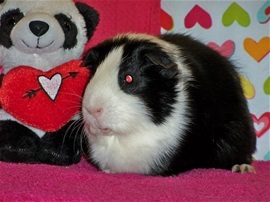 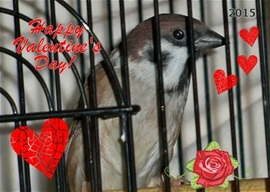 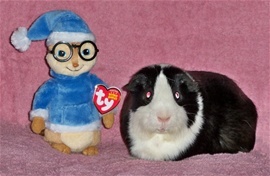 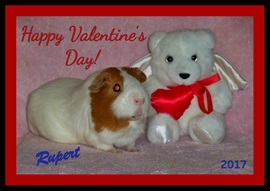 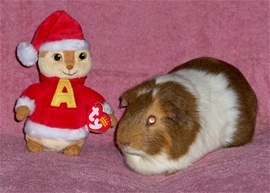 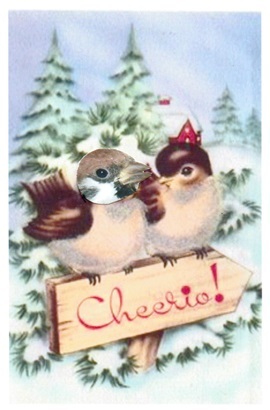 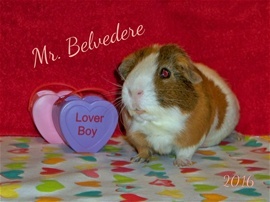 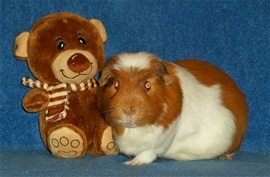 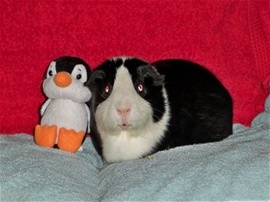 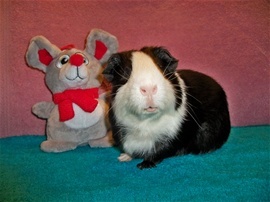 Precious Rupert's 1st holiday portrait! 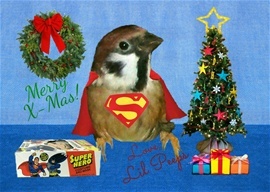 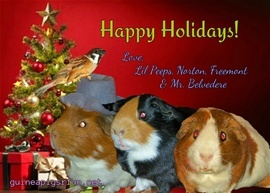 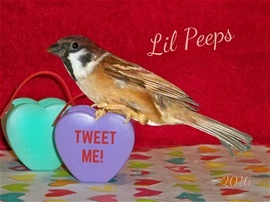 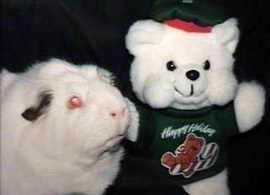 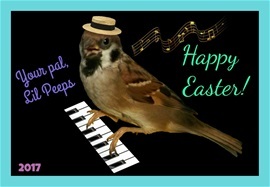 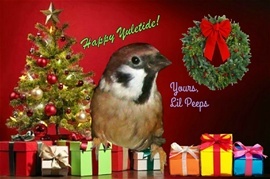 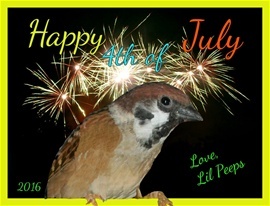 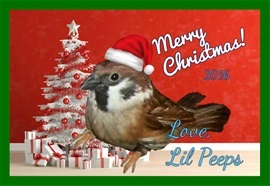 Lil Peeps' 2015 Holiday Message: "Happy Yuletide!" 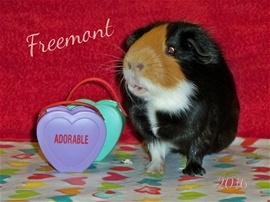 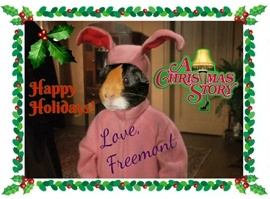 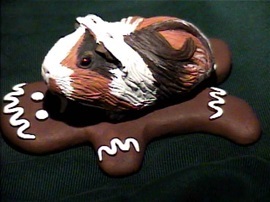 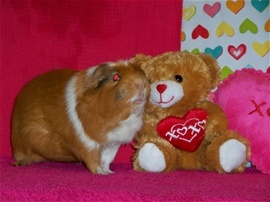 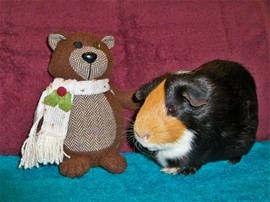 Oh, fudge, look what Freemont got for Christmas! 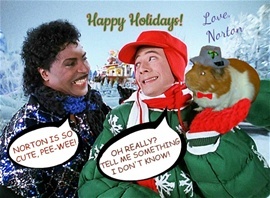 Pee-wee Herman introduces Little Richard to Norton! 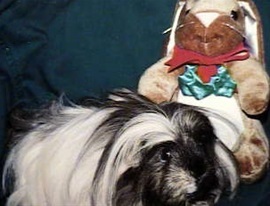 To celebrate the occasion, Norton "borrowed" Pee-wee's famous bow tie! 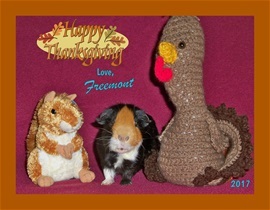 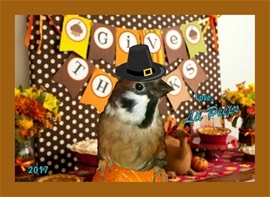 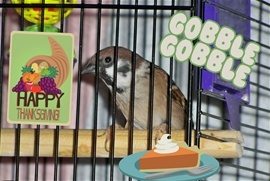 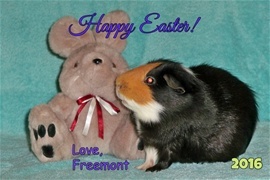 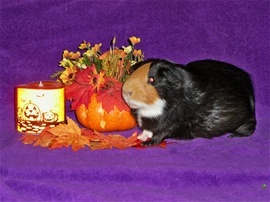 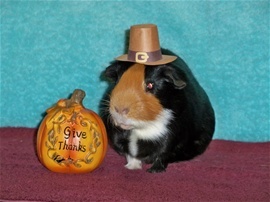 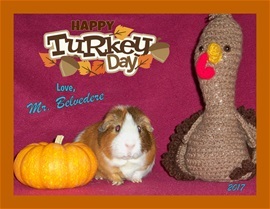 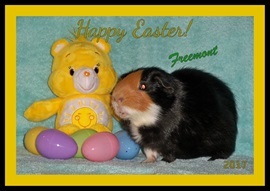 Happy Thanksgiving 2015 from our adorable Pilgrim, Freemont! 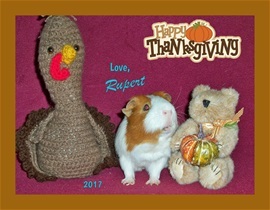 Happy Thanksgiving 2015 from Ed Norton & our little Norton! 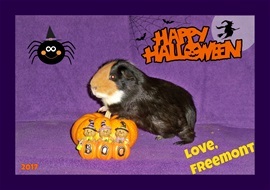 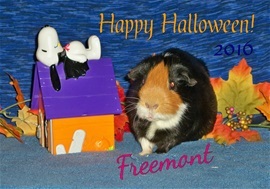 Happy Halloween from Freemont & All of Our Sweet Scamps! 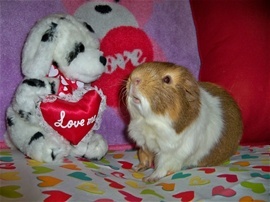 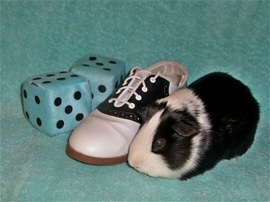 Sweet Simon & look-a-like saddle shoe! 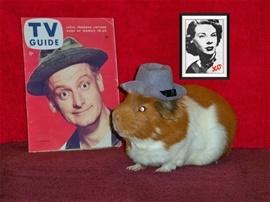 1950s Rule! 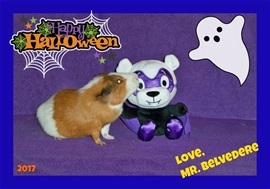 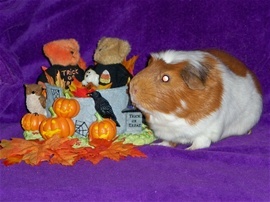 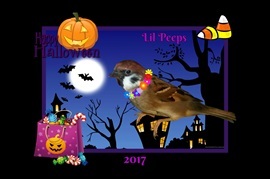 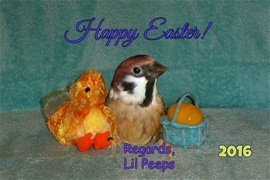 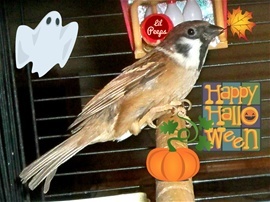 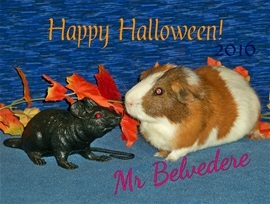 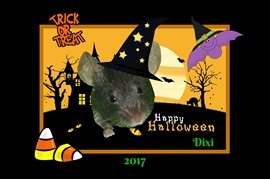 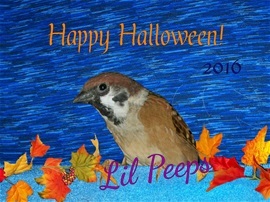 Happy Halloween from Lil Peeps, too! 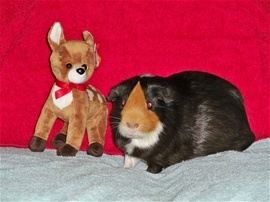 Santa's Smallest (and Cutest) Reindeer! 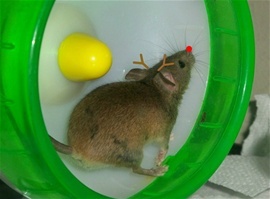 A Mouse's Cozy Home is His Castle! 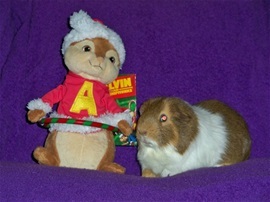 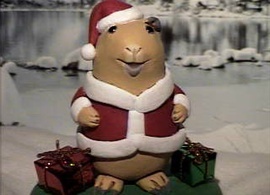 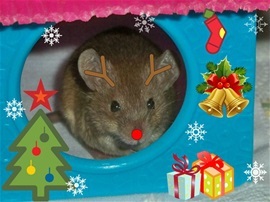 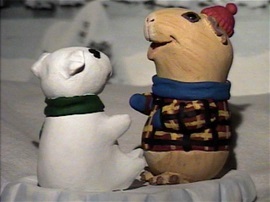 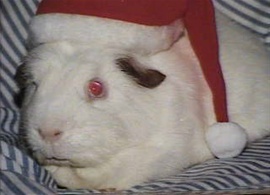 Marty Mouse's House: 'Twas the night before Christmas ... a creature was stirring! 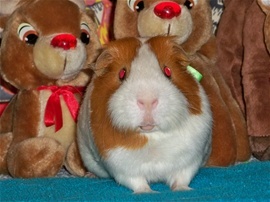 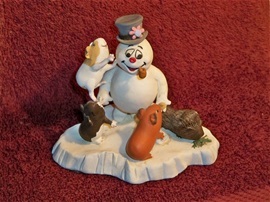 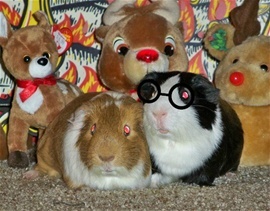 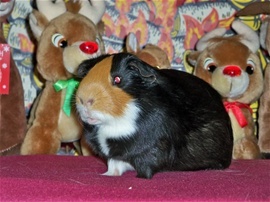 Sam the Snowman (from the Rankin & Bass "Rudolph the Red-Nosed Reindeer" TV classic) with our 4 cavies, L to R: Peppy sliding down snow hill; Spanky & Kipper singing; Quincy eyeing his fave veggies! 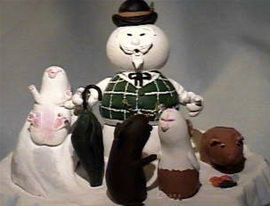 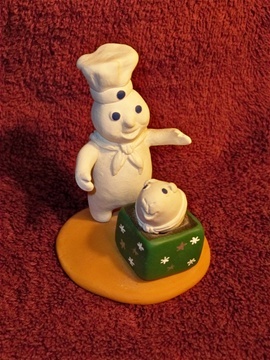 Frosty the Snowman with Stewie (trying to steal his hat! 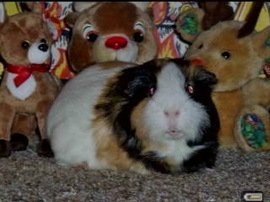 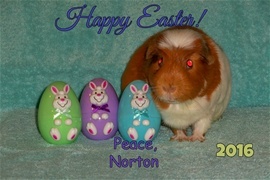 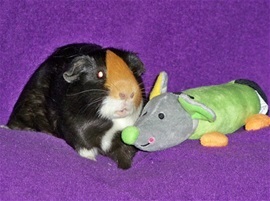 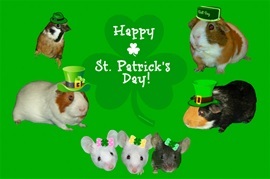 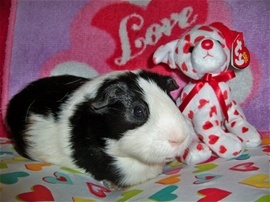 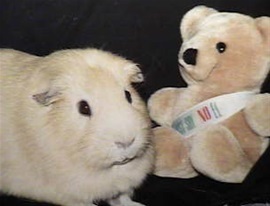 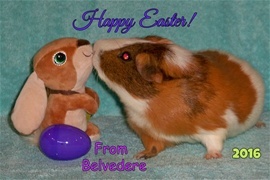 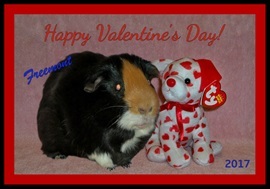 ), bro Nigel (holding him up), Skippy (sniffing out a vanilla yogurt drop) and Chumley (enjoying some veggies). 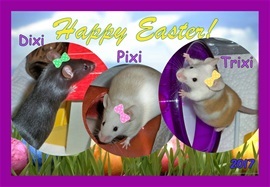 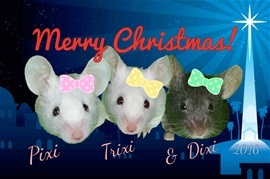 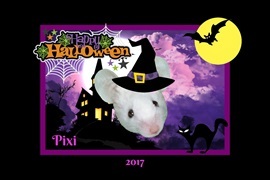 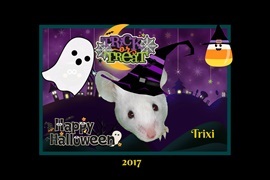 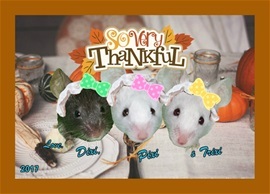 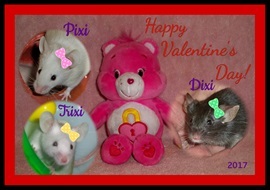 NEXT PAGE: Meet Pixi, Trixi & Dixi!